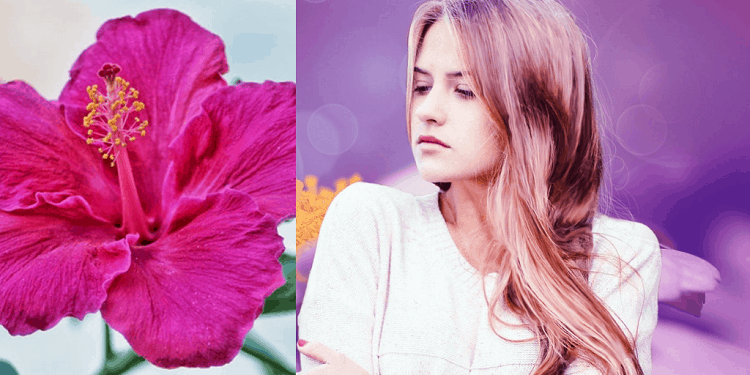 You most likely know about the beautiful flower known as “Hibiscus”, which is mostly used by most people for decoration — but do you know of the fantastic benefits of hibiscus powder for hair growth? Now, it might interest you to know that hibiscus powder has enormous benefits for hair loss, and that’s exactly what we’ll reveal to you in this article. Hair loss can be a nightmare to a lot of women. In fact, the worst fear among women nowadays is to grow thinning hair. If you relate to this, then this article has come to give you hope. Although hair loss is not peculiar to women alone, men equally suffer from this malady. But regardless, there are various ways to treat hair loss and thinning hair. Hibiscus is a widely known tropical herb for the treatment of hair loss and dandruff. Its powder form has gained popularity due to its effectiveness in stimulating hair regrowth even from bald patches. Before we dive deeper, let’s quickly take you through what Hibiscus entails and its constituents. 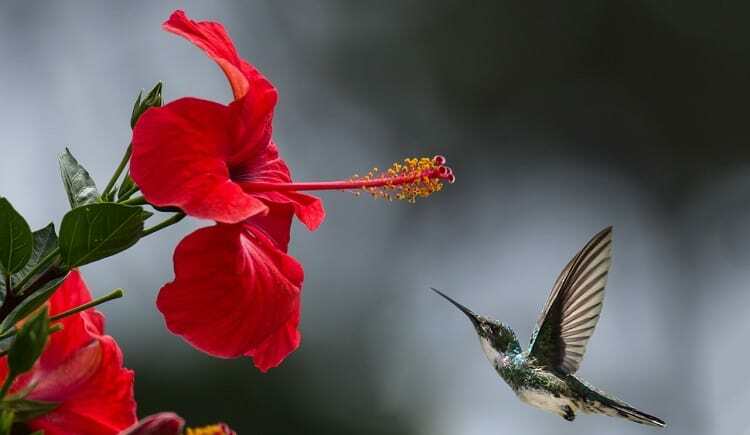 Apart from Wikipedia’s definition, Hibiscus is a tropical flower plant which has been proven to be effective in the treatment of various health challenges. Hibiscus is also known as Rose Mallow, Shoe Flower, Gudhal, Shoeblack plant, and Chinese rose. Hibiscus comes in several colors; hence some people cultivate it for decoration purposes. What’s more? It can also be used to make oils, teas, and dietary supplements. Additionally, hibiscus is loaded with lots of antioxidants, vitamins, and anti-bacterial properties. Hibiscus in its oil form can be used to cure menstrual pain, an upset stomach, high blood pressure, bacterial infections, cold, acne, and premature graying, among others. Now that you know what hibiscus entails, let’s see how its powdered form can benefit your hair. Hibiscus powder is rich in nutrients like amino acids and vitamin C. These nutrients are essential in the production of hair shampoos. Hibiscus powder is effective in stimulating hair growth even on bald patches. Surely, you won’t go wrong if you apply hibiscus powder on your hair in order to grow a fuller and thicker hair. It is pretty easy to make hair shampoo infused with hibiscus powder. All you need is to fetch hibiscus flowers and some coconut oil. Slice and grind the hibiscus flower into a fine powder and mix it with the coconut oil in a cup. Subject the mixture to heat for about 10 minutes and apply it to the affected bald at least three times a week. If you regularly apply this solution to the affected bald, it would not only make your hair shine, it would also make you grow a fuller and thicker hair. What’s more? It can also restore your hair’s lost glory. If hair lice constantly worry you, fret not; hibiscus powder can help you stop that embarrassment. All you have to do is to apply hibiscus powder on your hair before going to bed, and then once you wake up in the morning, wash it off immediately. It has no side effects! Studies show that hibiscus flowers contain Vitamin c and amino acids, which can help to reduce excessive oil secretion and oil gland secretions of the scalp. So, whenever your hair is itching, apply hibiscus powder to help you get relief from dandruff and itchy scalp. For a perfect treatment, add other ingredients like a few drops of lemon juice and Mehendi leaves crushed into a paste with hibiscus powder. Apply the solution to the affected areas in order to balance your scalp’s PH and thus combat dandruff. If you are suffering from consistent hair fall, then you need to give hibiscus powder a serious consideration. Hibiscus powders prevent hair loss by circulating blood flow under your scalp. Since hibiscus flowers are a rich source of vitamins, anti-oxidants, and other nutrients as well as pigments like melanin, applying its powdered form will help to delay premature graying. In fact, it will give your hair the natural color it deserves. So, if you want to kiss your gray hair a final goodbye, consider applying hibiscus powder regularly on your hair. Do you know that harsh chemicals, pollution, and stress can affect your hair’s health? Hibiscus powder contains AHAs in the right proportion to help you combat harsh chemicals and dirt. Plus, the amino acids present in hibiscus powder can also help strengthen your hair’s elasticity and thus make it strong. I believe you now know the benefits of hibiscus powder for hair growth. Did you ever imagine that a tropical flowering plant like hibiscus mostly found in gardens could be the solution to your perpetual hair problems? If you apply hibiscus powder at least three times in a week, you’re already a step closer to the dream hair you’ve been longing to have. What challenges are you currently facing as per your hair? Share your thoughts with us using the comment box below! Can Too Much Progesterone Cause Hair Loss? Previous articleDry Scalp Vs Lice – What’s the Difference?